Major Incidents are incidents that delay 50 or more trains. Such events cause the most disruption to customers. Track - Track fires, broken rails, switch trouble, and other track conditions. Signals - Signal and track circuit failures, and other equipment and transmission problems related to signals, both for conventional color-light signals and for new technology Communications-Based Train Control (CBTC) signals. Persons on Trackbed/Police/Medical - Police and/or medical activity due to sick customers, vandalism, assault, persons struck by trains, unauthorized persons on tracks, and suspicious packages. Stations & Structures - Obstructions and other structural problems, such as damage to tunnels or debris on the right-of-way; electrical problems such as defective wires, cables, and power systems that aren’t on trains, including traction power to run the trains. Car Equipment - Broken doors, seats, windows, lights, brakes, and other problems caused by defective trains, such as power or air conditioning failures. Other - Inclement weather, water conditions, external power supply failures, as well as drawbridge openings and other external conditions, such as unstable nearby buildings, nearby fires, civil demonstrations, and/or parades. Service Delivered measures the percentage of scheduled trains that are actually provided during peak hours. Service Delivered (sometimes referred to as throughput) measures our ability to deliver the scheduled service. Service Delivered is measured along the busiest part of the line, which reflects service across the entire line, and is reported as the percentage of scheduled trains that are provided during peak hours. Additional Platform Time is the average time that customers spend waiting at a station beyond their scheduled wait time. Additional Platform Time (APT) is the average added time that customers spend waiting on the platform for a train, compared with their scheduled wait time. Additional Platform Time (sometimes referred to as Excess Wait Time) is a new indicator for the MTA, but is considered an industry best practice worldwide. APT is measured using a combination of customers’ MetroCard entry data into stations combined with train departure times from those stations. The measure uses information from the real-time train tracking technologies that provide train arrival information. Additional Train Time is the average time customers spend onboard a train beyond their scheduled travel time. Additional Train Time (ATT) is the average additional time customers spend onboard the train due to various service issues. Additional Train Time (ATT, sometimes referred to as Excess Travel Time) is a new indicator for the MTA, but is considered an industry best practice worldwide. ATT is measured using a combination of customers’ MetroCard entry data into their starting stations and customers’ arrival times at their destination stations, using information from the real-time train tracking technologies that provide train arrival information. Customer Journey Time Performance is the percentage of customers trips that are completed within 5 minutes of the scheduled time. Customer Journey Time Performance (CJTP) measures the percentage of customer trips with an estimated total travel time (Scheduled Travel Time + Additional Platform Time + Additional Train Time) within 5 minutes of the scheduled time. See the Additional Platform Time (APT) and Additional Train Time (ATT) metrics for more detail on how they are calculated. This is a new indicator for the MTA, but is used by other transit agencies to measure service. This indictor is likely to be refined and enhanced over time as the MTA gains experience integrating the latest technology. Mean Distance Between Failures reports how frequently train mechanical problems cause delays. Mean Distance Between Failures (MDBF) reports how frequently car-related problems such as door failures, loss of motor power, or brake issues cause a delay of over five minutes. It is calculated by dividing the number of miles train cars run in service by the number of incidents due to car‐related problems. The Subway Car Passenger Environment Survey Key Performance Indicators measure train car comfort and convenience. Appearance - Do the trains appear clean? Are they free of graffiti? Equipment - Does the equipment work – the door panels, lighting, heat and air-conditioning? Information - Is the Information helpful and appropriate? Are there maps, proper signage? Are the conductor’s announcements clear? Subway Car PES-KPI is reported for weekdays only. Due to statistical variations in the monthly surveys, this number is reported as a 12-month average. The Station Passenger Environment Survey Key Performance Indicators measure station comfort and convenience. Physical Appearance - Is the station clean and free of graffiti? Equipment - Are MetroCard vending machines, turnstiles and station attendant booths in working order? 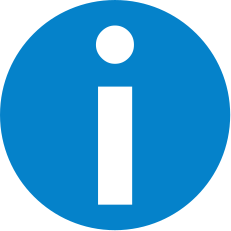 Information - What service information is available to our customers to help ease their commute? Are there maps easily visible and in good condition? Are Transit employees available, in proper uniform and able to provide customer assistance? Is the signage clear and up‐to‐date? Station Environment PES-KPI is reported for weekdays only. Due to statistical variations in the monthly surveys, this number is reported as a 12-month average, available by borough. Elevator and Escalator Availability measures the percent of time that elevators or escalators are operational systemwide. Elevator and Escalator Availability is the percent of time that elevators or escalators are operational system wide. Most elevators and escalators in the subway are maintained by New York City Transit and are electronically monitored 24-hours a day. Some elevators and escalators in the subway are owned and maintained by outside parties; these are inspected by NYCT personnel every 8 hours. These numbers include weekdays and weekends. Wait Assessment measures how regularly trains are spaced. Wait Assessment (WA) measures how regularly the trains are spaced during peak hours. To meet the standard, the headway (time between trains) can be no greater than 25% more than the scheduled headway. This provides a percentage of trains passing the standard, but does not account for extra service operated, is not weighted to how many customers are waiting for the trains at different stations, does not distinguish between relatively minor gaps in service and major delays, and is not a true measurement of time customers spend waiting on the platform. Terminal On-Time Performance measures the percentage of trains arriving at their destination terminals as scheduled. Terminal On-Time Performance (TOTP) measures the percentage of trains arriving at their destination terminals as scheduled. A train is counted as on-time if it arrives at its destination early, on time, or no more than five minutes late, and has not skipped any planned stops. TOTP is a legacy metric that provides a measure of trains arriving within the standard, and not a direct measure of customer travel time, particularly since relatively few customers travel all the way to the end of a line.